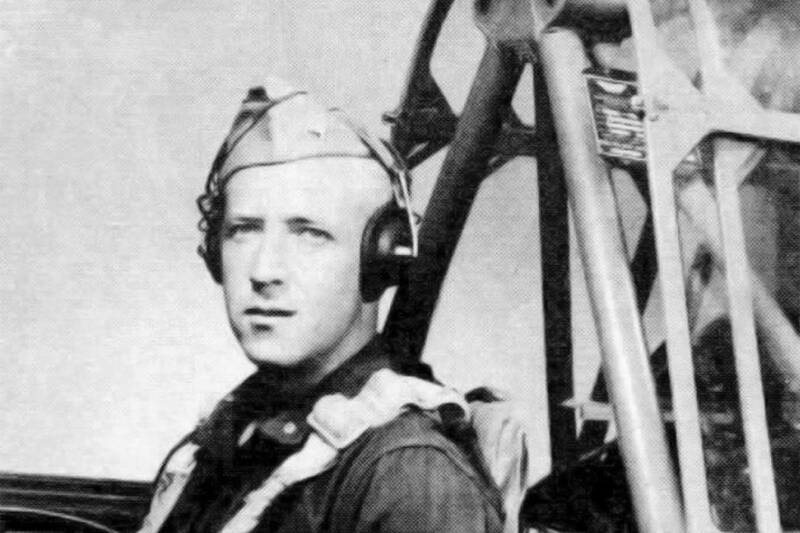 With the puzzle pieces finally assembled and through the help of genetic testing, remains of a pilot missing since World War II, are now back on U.S. soil. BIRMINGHAM, Ala. — Second Lt. Robert R. Keown was piloting his P-38 aircraft to an airfield after a mission in 1944 when it crashed into a mountain in Papua New Guinea. World War II ended without Keown’s family knowing what had happened to him, and the military later declared him dead. Decades later, a villager found human remains in a swampy area near the mountain. Another resident of the Pacific island snapped a photo of the rusted wreckage of a warplane years after that. With all those puzzle pieces finally assembled and through the help of genetic testing, remains of the Georgia native and Alabama resident are now back on U.S. soil. Relatives will gather at Arlington National Cemetery near Washington, D.C., on Friday afternoon for the long-delayed funeral of Keown. “I expect to be overwhelmed,” said nephew John Keown, 62, of Decatur, Alabama. The ceremony will include a flag-draped coffin and an honor guard for Keown, who grew up near Atlanta in Lawrenceville, Georgia, before moving to the northern Alabama city of Scottsboro. He was 24 and serving in the U.S. Army Air Forces, the predecessor to today’s Air Force, when he died. Keown’s remains arrived Thursday at Washington’s Reagan National Airport, said Justin Taylan of Pacific Wrecks , a nonprofit contractor that searches for the remains of missing service members in conjunction with the Department of Defense. More than 400,000 Americans died in World War II, and the Pentagon says nearly 73,000 of them remain unaccounted for. Keown was among that number until November, when DNA testing proved that skeletal remains found in Papua New Guinea were his. That confirmation, combined with photos of the wreckage, allowed the Defense POW/MIA Accounting Agency to remove Keown from the list of the missing, but it’s still unclear what happened in the crash. The Pentagon said Keown was flying one of four aircraft of the 36th Fighter Squadron, 8th Fighter Group on a mission to locate a missing B-25 bomber when the weather turned bad and the fighters headed to an auxiliary airfield on April 16, 1944. Keown was declared missing after the planes failed to return. Two other planes also disappeared; Taylan said their pilots remain missing. The war ended with Keown’s whereabouts still unknown, and the Pentagon declared him dead on Feb. 7, 1946, according to a release from Defense. The loss and uncertainty over his fate were devastating to the family, said John Keown, the son of one of the pilot’s younger brothers. “They were torn up for a couple of years not knowing what had happened to him,” he said. More than 50 years later, in 1999, the Papua New Guinea National Museum and Art Gallery gave the Army human remains a farmer had found on his land in the 1980s and reburied in a village cemetery. In 2005, Taylan said, another man in New Guinea provided photos of plane wreckage near the site where the remains were first found. A photo included a serial number that was used to confirm the plane was Keown’s, Taylan said, and DNA testing of the remains finally tied everything together last year. John Keown and other nieces and nephews are the closest remaining relatives among more than 40 people expected to attend the pilot’s funeral. His father died in 1937 and his mother in 1979. Keown’s two brothers also died, the most recent in 2015. While Keown’s remains will be interred at Arlington, the wreckage of his aircraft remains on a mountainside where it was found, said Taylan. Keown’s name has been added to a memorial that was previously erected in the village near the crash site, he said. “A boy from Alabama has a monument in Papua New Guinea,” said Taylan.